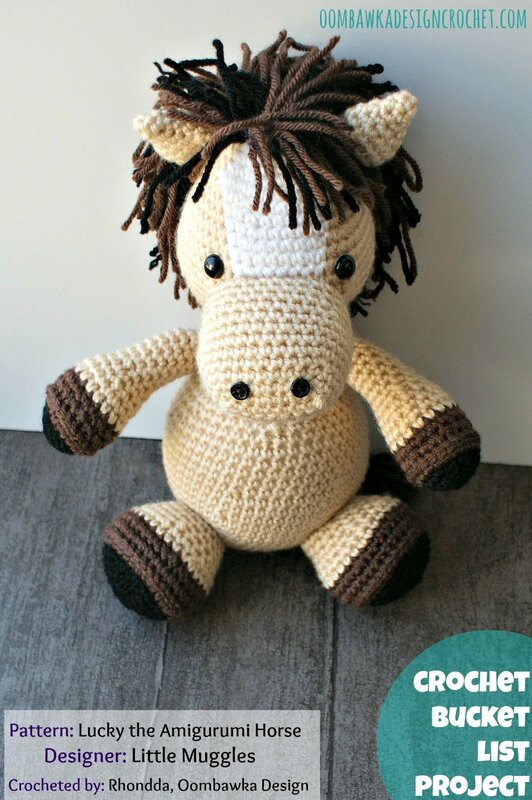 When my Mom asked me to crochet an amigurumi horse for my niece Savannah, I knew just what pattern I wanted to try. We wanted something huggable – and adorable. 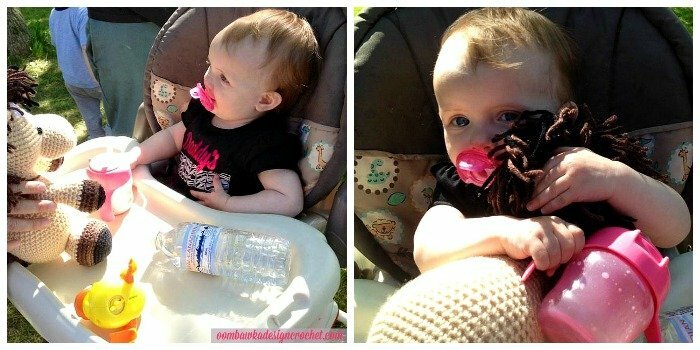 Something suitable for a 1-year old. This pattern was very well written and easy to follow. The pattern comes with complete written instructions and a photo tutorial to explain how to crochet the colour changes neatly. I used the recommended yarn and hook: Lion Brand Yarns, Vanna’s Choice Solids and a 4.00 mm crochet hook. The finished horse measured approximately 8.5″ tall. The mane took a little bit of time to complete but it was easy to do – just a bit time consuming because the mane is created one strand at a time. Everyone who saw the horse loved it! Savannah seems to love him too! 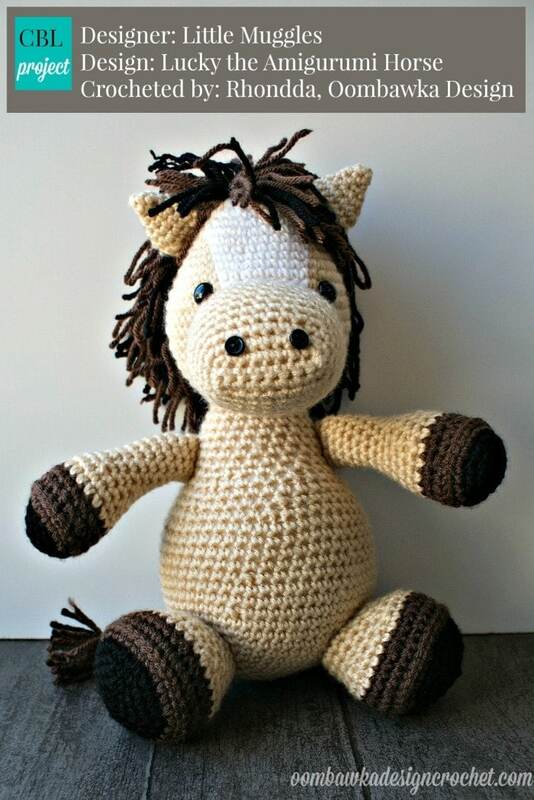 The finished project is perfect for children and makes a fantastic gift. 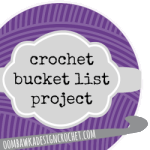 If you would like to try one of Little Muggles Free Crochet Patterns – she has a number of lovely ones for you to choose from!